About 98 million farmers in India are smallholders. Many grow only a single monsoonwatered crop each year, and the income they derive from this is small. If the land is irrigated, two or even three crops can be grown, providing additional food and income. IDEI provides cheap treadle (foot-operated) pumps, so that poor farmers can afford to irrigate their land. Having a treadle pump is like the difference between public transport and having your own bicycle. You can choose when you want to use it and not be dependent on anyone else. IDEI has been marketing treadle pumps to farmers in India since 1991. It was initially part of IDE-International, but was legally registered as an Indian not-for-profit body in 2001 and is now an independent organisation. By 2009 it had 185 employees, 300 business associates, and an annual turnover of US$5 million. IDEI’s central office of 25 staff manages the treadle pump programme, assisted by three regional offices and several area offices. Winning their first Ashden Award in 2006 greatly raised the profile of IDEI, and a number of significant developments followed, including a US$27 million grant from the Bill and Melinda Gates Foundation for technology dissemination. 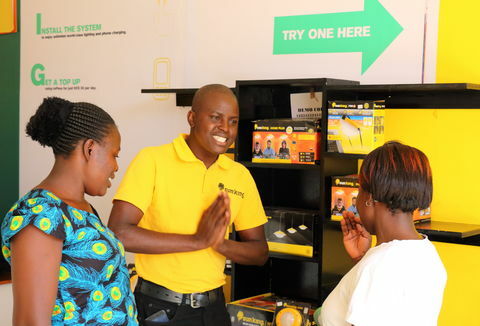 The Acumen Fund has also invested US$1 million in Global Easy Water Products, a company set up by IDEI Employees Trust, to sell micro-irrigation products internationally. In 2009, IDEI received US$300,000 of carbon finance from selling verified emission reductions for the treadle pumps through the carbon finance company JPMorgan ClimateCare. The treadle pumps are designed to be cheap and easy to use. The operator drives the pump by pedalling on two bamboo or metal treadles. The water flows directly onto the land or into a pond or irrigation canal. The pedalling action is like using a step machine. It is easily mastered and not strenuous, so that anyone in the family can take a turn at irrigating the fields. Typically a household will operate a pump for between two and eight hours per day, often in the early morning or evening when the weather is cool. 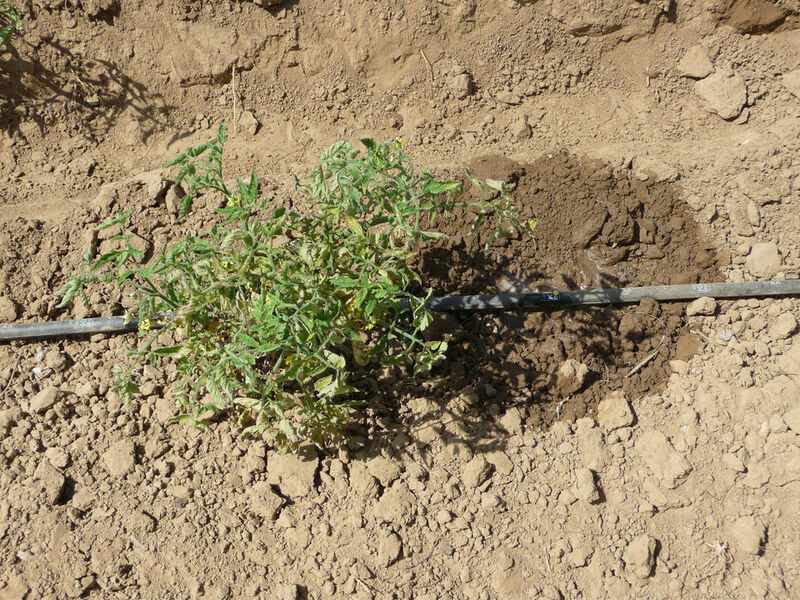 IDEI has also developed low-cost drip-irrigation systems. 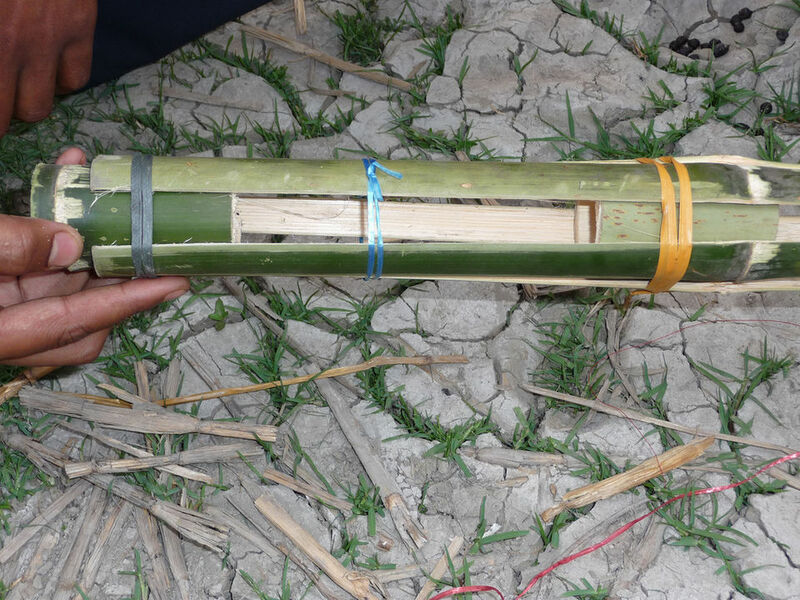 These use perforated, flexible tubing to distribute water efficiently to crops, and thus reduce the amount of water needed for irrigation. They can be used with water pumped from treadle pumps, but also with other types of pump. Several different versions have been developed. Treadle pumps cost between US$20 and 32 (Rs 1,000 and 1,600) each. The tube well and labour for installation cost about US$10 (Rs 520). I save money because I used to hire the diesel pump for 80 Rupees (nearly US$2) per hour. Most farmers buy the pumps directly from an IDEI dealer. Some dealers offer three to four months’ credit, which allows the farmer to sell crops from their first harvest to repay the loan. Around 20% of farmers receive their pumps on credit. No subsidies are offered to users. How is it manufactured, promoted and maintained? 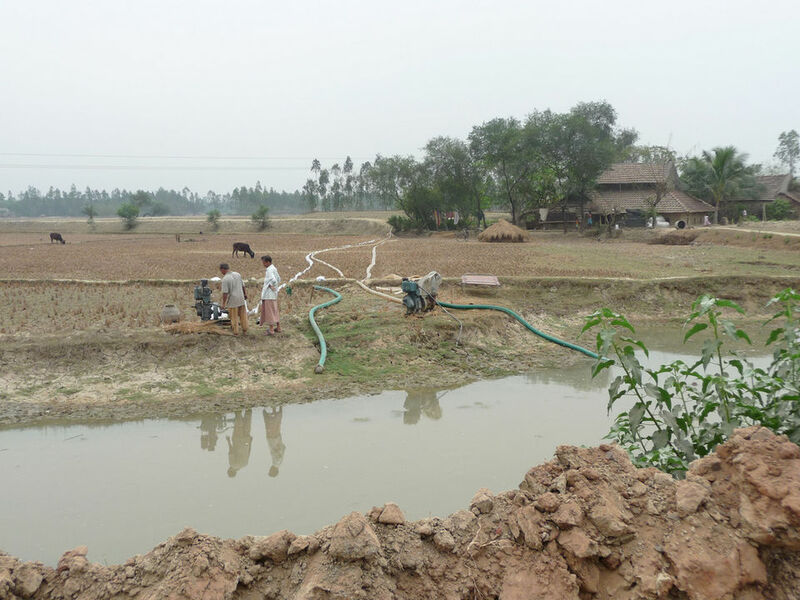 IDEI has set up local supply chains to manufacture, distribute, sell and install the pumps. The pumps are marketed under the ‘Krishak Bandhu’ (or ‘farmer’s friend’) brand. The manufacturers, dealers and installation mechanics are all identified and trained by IDEI and operate under licence. IDEI has developed a range of interesting materials to market the pumps and other technologies, and puts considerable emphasis on marketing. One innovative approach is the use of full-length Bollywood films, made using famous actors and directors, and screened from the back of vans in the villages where IDEI dealers operate. 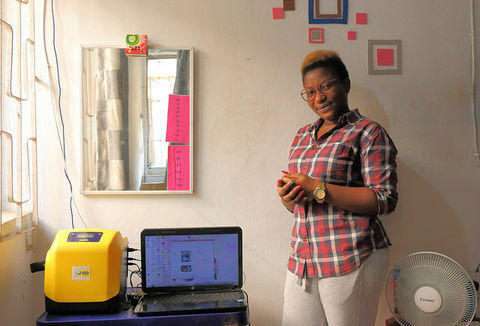 No direct subsidies are provided to the entrepreneurs in the supply chain, but IDEI covers the cost of product development, quality control, marketing and training, which averages about US$6 per pump. IDEI is responsible for quality control along the supply chain, creating the templates and specifications for pump manufacture. Every pump has a serial number which identifies the year of production, the state where it was produced, the manufacturer, and the type of pump. IDEI regional offices help pump manufacturers develop the best production processes and maintain high quality. IDEI mechanics who install the pumps offer farmers training on how to use it - usually five or six farmers are trained together. Mechanics live in all of the areas where IDEI operates, and are able to repair and maintain the pumps in their area. Every treadle pump is sold with a one-year guarantee, after which the farmer has to pay for servicing. The valve and washers need to be replaced annually. The pumps are expected to last for about eight years, although a study by The Energy Research Institute (TERI) highlighted some that are still working well after eleven years of service. IDEI works on a regional basis, so that the complete local supply chain is set up in each new area. By February 2009, IDEI was working in 15 Indian states, and a total of 750,000 treadle pumps had been sold, benefitting around 3.9 million people, with sales averaging about 50,000 per year. 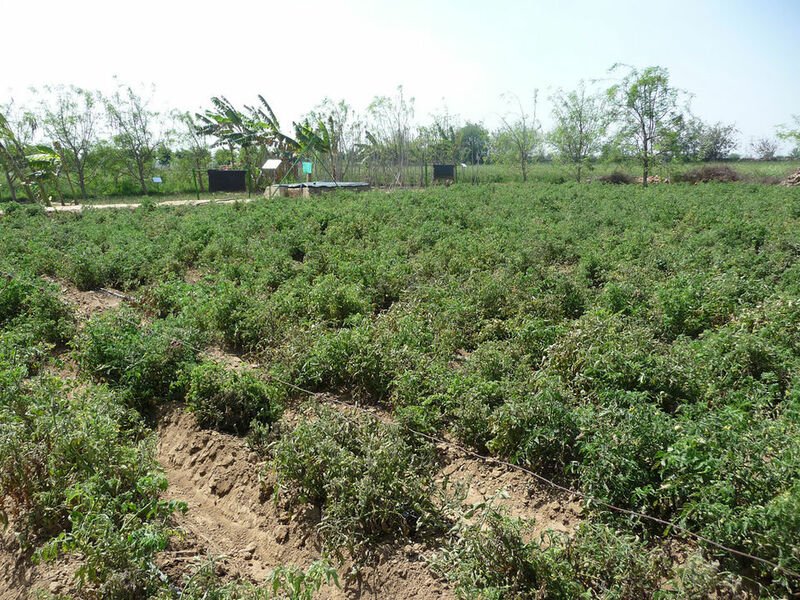 295,000 drip irrigation units had also been sold. The drip irrigation systems allow one or even two further crops to be grown, providing food and income, and reducing the need to migrate. A study in 2007 by The Energy Research Institute (TERI) found that between 50 and 60% of treadle pumps replace diesel pumps and therefore directly avoid the emission of CO2. TUV Nord, the international certification organisation, has verified the direct and indirect greenhouse gas savings associated with the use of treadle pumps as 0.477 tonnes/year CO2 per pump. The verified savings over the past four years amount to 177,000 tonnes CO2, of which 52,000 tonnes have been validated. IDEI estimates that the total greenhouse gas saving to date is about 1.45 million tonnes of CO2. Treadle pumps are eligible for carbon finance even for farms where no diesel pump was used before, because it is assumed that a similar amount of CO2 would have been produced from growing the extra crops elsewhere. Treadle pumps also avoid the fumes from diesel and risk of spillage. Diesel pumps tend to wash away the top soil in patches, leading to a greater need for fertiliser. The flow from a treadle pump maintains the soil structure better, because it is slow enough to irrigate without causing erosion. One IDEI dealer noted that treadle pumps also reduce the need for pesticides, because diesel pumps leave a larger volume of water on the surface of the ground, which encourages pests. Having a treadle pump can transform the life of a farming family. Families with access to pumped water for the first time are able to grow a second and sometimes a third crop each year, increasing both the quantity and variety of production. The new crops include papaya, onions, mustard, coriander, garlic, cauliflower, cabbage, arum, cucumber, sweet potatoes and tomatoes. 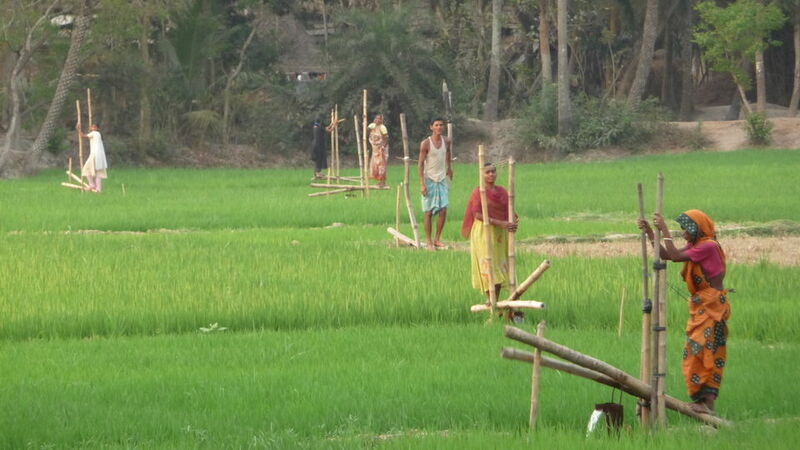 Additional land has also been brought under cultivation because it can now be irrigated. This means that the family is able to eat a better diet with a greater variety of vegetables. A study of 30 families by the Acumen Fund showed that although children helped with pumping, on average they operated the pumps for only half an hour each day, and this did not prevent them from attending school. The study also noted the particular benefits of better food for children: all the children from families with treadle pumps were now eating vegetables, and 83% also had milk. Half the families bought school books with their extra income, and some bought a bicycle to help their children get to school. Now I can irrigate whenever I like because I can operate this myself. Now I am independent. Treadle pumps are more convenient for farmers, because they are available to be used whenever they are needed, and do not have to be hired and transported like a diesel pump. Many farmers have bought a treadle pump as a result of seeing its effect on the income and life of a neighbour. The TERI study confirms that the increase in income is significant: in Balangir, Orissa, average household income rose from about US$190/year (Rs 9,500/year) to US$510/year (Rs 25,500/year) as a result of having a treadle pump. The income of some farmers more than trebled. The income of some farmers more than trebled. The additional income has enabled farmers to buy more land, extend their houses, send children to college, and buy school equipment. The income also allows low-income farming families to remain on their land all year, rather than drift into poor urban areas to find casual work outside the growing season. This means that the children stay in school longer, since previously the whole family would move to the city. The high demand for treadle pumps creates substantial employment for manufacturers, distributors, retailers and mechanics. 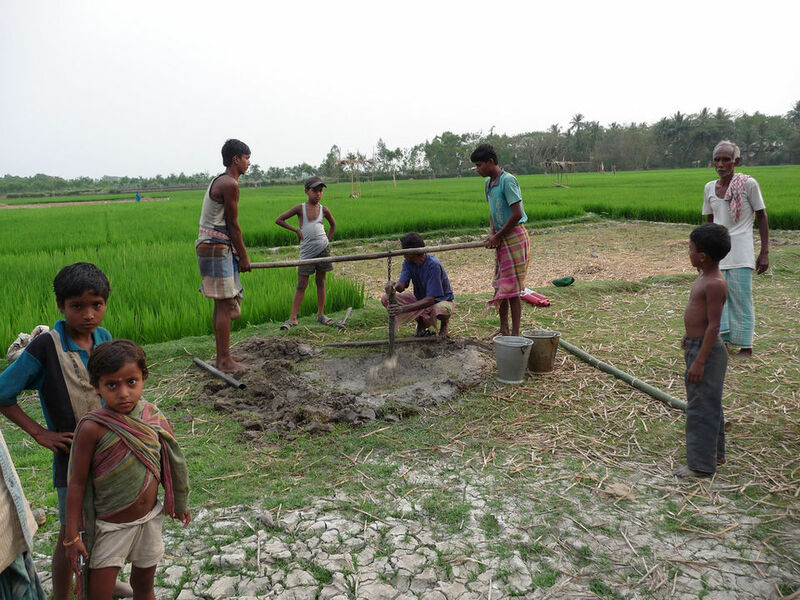 Treadle pumps can work wherever the water table is no more than 8.8 m below ground level. About seven million smallholders in India farm land where the water table is sufficiently high that treadle pumps could be used. By 2020, IDEI hopes to have provided one million more farmers with treadle pumps and three million more with drip irrigation systems. One barrier to expansion is the capital needed to start up the entire supply chain in a new state, which is around US$400,000. At the end of the supply chain, more famers would be able to buy pumps if there was shortterm credit available for the first four months, until income is received from the first additional harvest. IDEI is considering setting up a private company to provide credit to farmers. 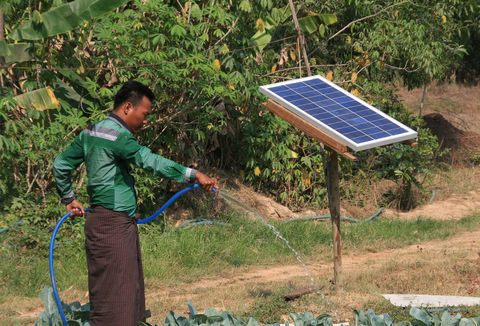 There is also huge potential for treadle pumps in other developing countries where many smallholder farmers work land with a high water table. 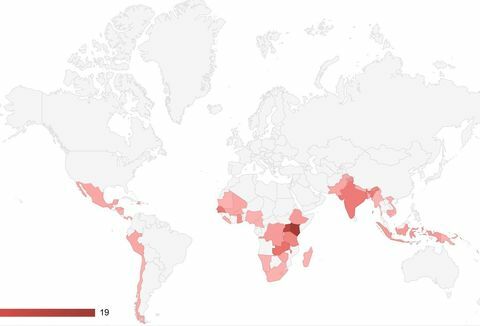 IDEI is currently in discussion with organisations in Pakistan, Sri Lanka, Laos, Tajikistan, Egypt and several countries in Africa about potential replication.